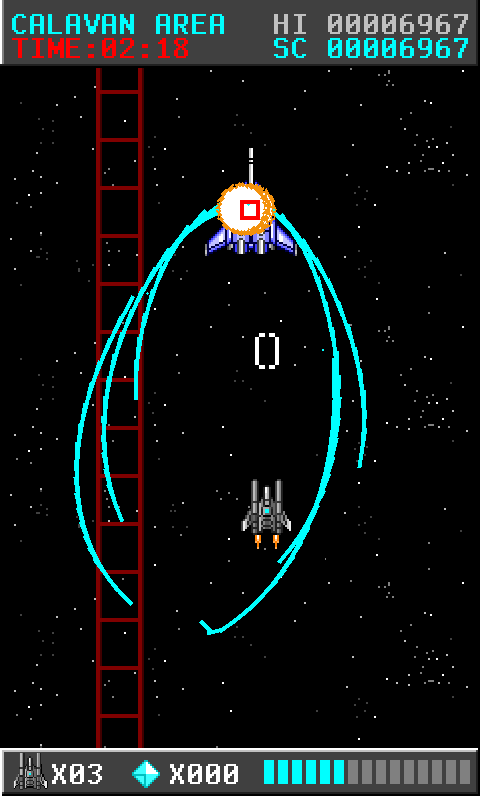 This is a vertical scroll 2D shooting game. 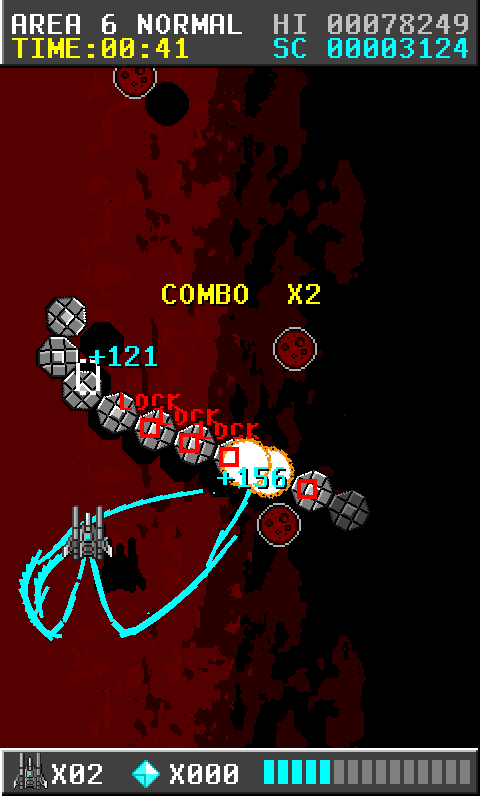 You can operate the fighter MoonStriker which Implements lock-on lasers. 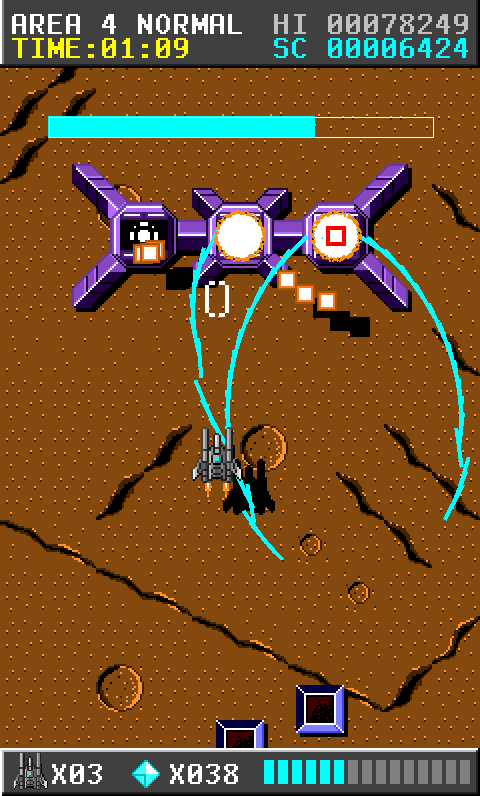 The player is destroyed with one damage,but if there are reserve players,player revives on the spot. The difficulty can be selected from easy level, normal level and hard level. The cursor for lock-on is displayed in front of your plane. 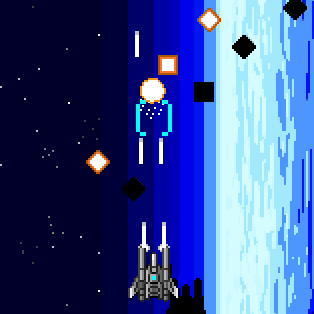 While pushing the shot button, the cursor becomes effective, and the cursor's color varies from white to aqua. 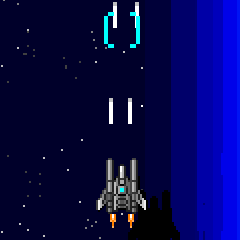 You can lock-on by matching the cursor with enemies. The number of the lock-on availability is 5 in initial level. It becomes up to 12 by taking the power-up item. 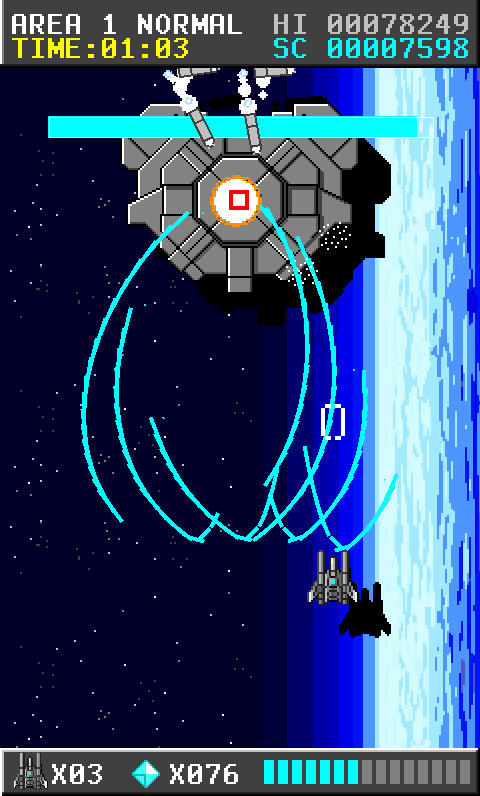 After lock-on, lasers are fired automatically. In the case of any of the following, lasers are fired automatically. When you locks to the maximum number of own planes. When the enemy is locked upper limit. When period of time passes after locking it. In addition, you can fire in any timing without waiting for automatic discharge. In the case of any of the following, Lasers are fired in an arbitrary timing. To take your finger off a button. To take your finger on a button(Even a different button is possible). To separate the left-click of the mouse. To push the right-click of the mouse. To separate a touch./To do the second touch. 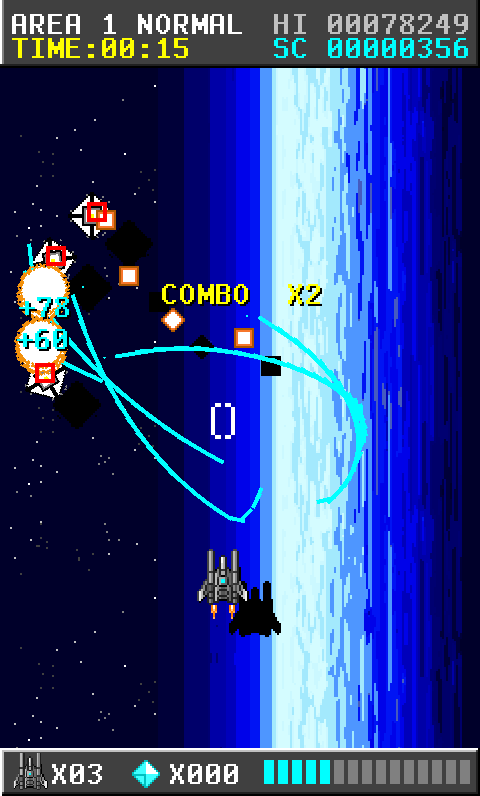 Lock-on laser is possible for both aerial enemy and ground enemy. The normal bullet in front of the plane can destroy an enemy bullet. This will enable approach an enemy and can set a lock-on positively. 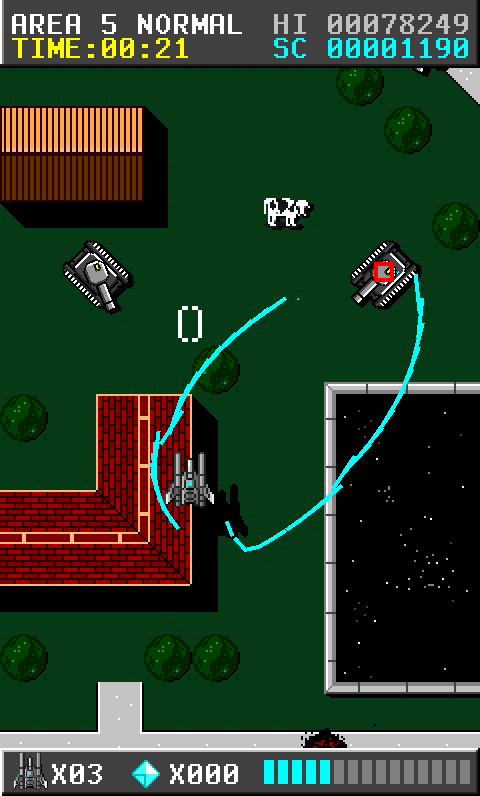 The normal bullet is fired automatically with pushing the shot button. The normal bullet is possible for aerial enemy, but it isn't possible for ground enemy. In addition, the normal bullet can't power-up. When ItemCarrer(in aerial) or ItemBox(in ground) is destroyed, it appears PowerUpItem or Cristals. PowerUpItem: The number of the lock-on possibility increases by one. Cristals: It is added to score when the area is completed. 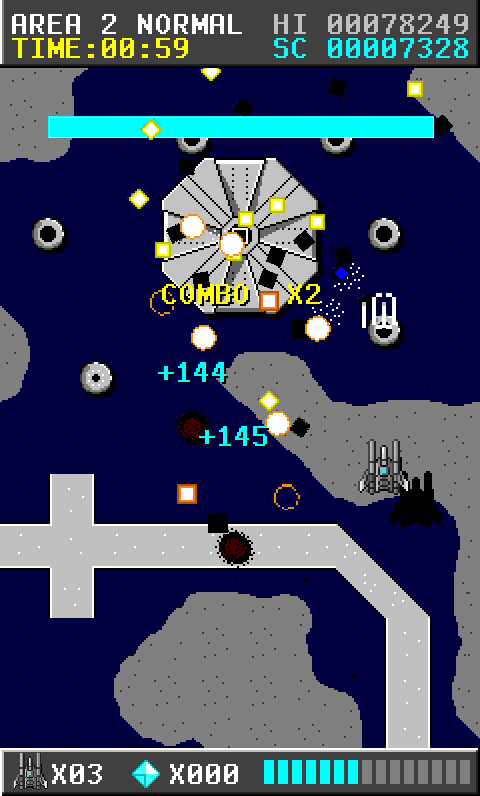 When the player is destroyed in the middle of the area or the area is completed, cristals are destroyed. 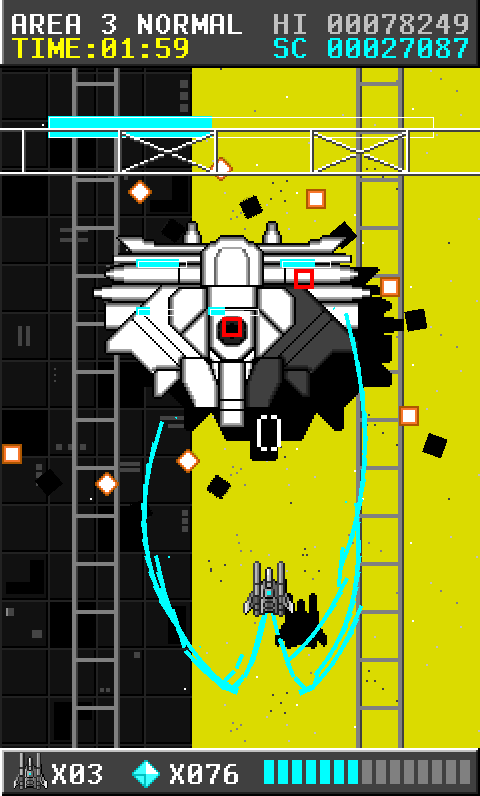 Score is added when you destroy an enemy. 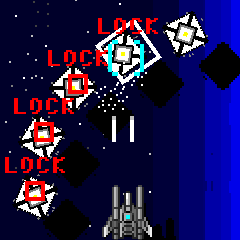 When enemys are destroyed with lock-on lasers, more score is included by the number of the lock-on count. 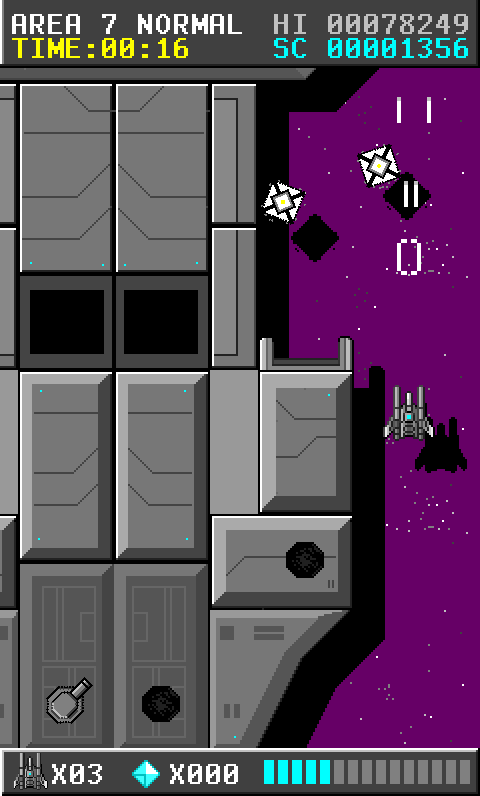 Additional score is included when you destroy all the aerial enemies appearing in formation. Combo rises when you continue destroying an enemy. When you destroy enemies, score rises depending on combo counts. In addition, the enemy for bonus exists. Bonus score is included by doing specific way. For example destroying at the right and left at same time. 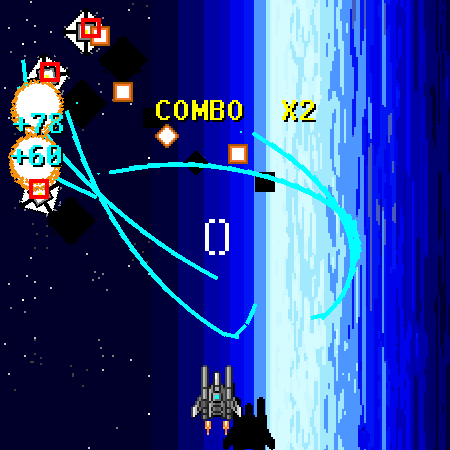 In the header, current area, difficulty, time, high score, current score are displayed. In the footer, players, cristals, maximum lock number are displayed. It constructed in all 7 areas. In the first time, you can only start form area 1 . 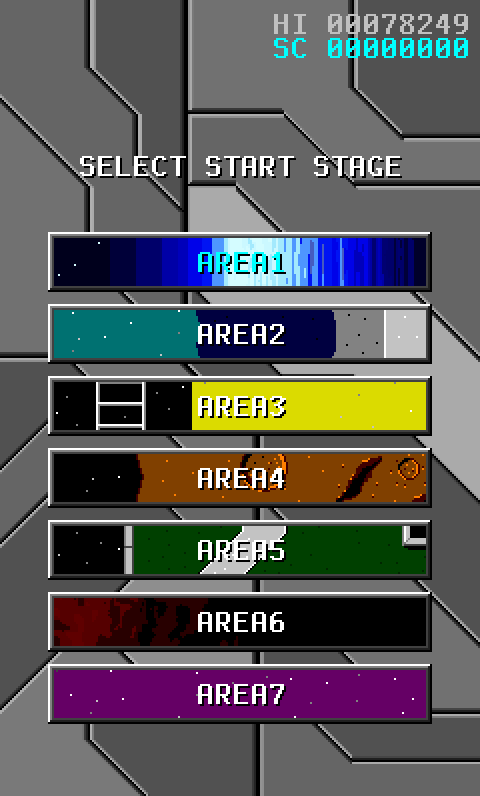 Once you complete the area, you can select next area in the next play. If you select a caravan mode, you can enjoy a 3-minute score attack in the area for exclusive use of the caravan mode. The score is recorded automatically. Since there are various ways to score up, please try these actions. Since the next enemy appears when you destroy the enemy, you can defeat more enemies by defeating enemies quickly. It is important that you never die in the middle of the area in order to keep cristals and get the additional scores. In addition, you should not miss bonus ememies because a lot of bonus enemies appear in the calavan area. 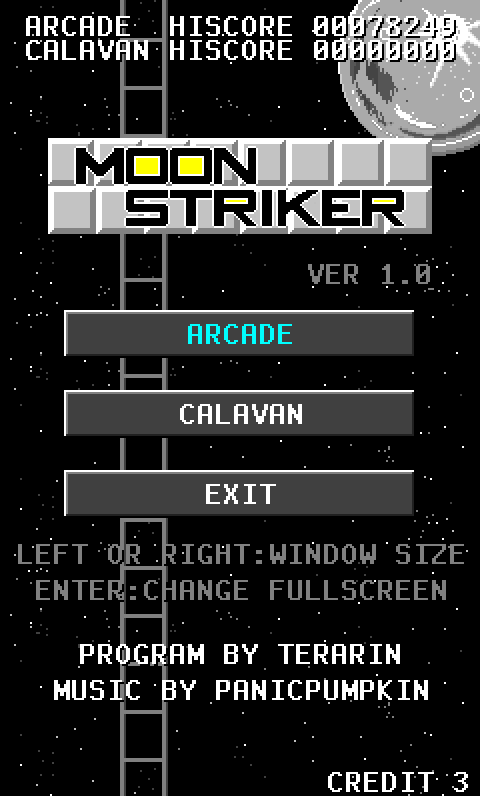 This is MoonStriler's Title Page. You can select Arcade mode or Caravan mode. In case Windows or Mac, the windows size changes with left or right button in 3 sizes. And you can change Full screen or Window with pushing the Enter key. Once you start the game, you can't change the window.